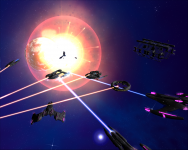 Fleet Operations is a popular skirmish and multiplayer orientated total conversion modification for Activision's real-time strategy game Star Trek Armada II. 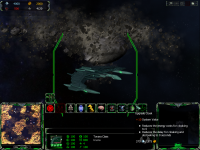 The project's goal was not only to create a simple "modification" but as total conversion to make Armada II a worth successor to the second best selling Star Trek game Star Trek: Armada (behind Interplay's Star Trek: 25th Anniversary by a small, but fair margin). 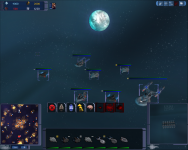 Version 3.0 includes advanced graphics, a whole new user interface, completly replaced ship models, 5 balanced races with totally new gameplay and tons of new possibilities making Armada II a real real-time strategy multiplayer game. Hello again! It's been two weeks since our 3.0 release, a lot time with a lot of feedback in the forums and via email. Thanks for all your bug reports and ideas! The first patch clears up several crashing problems that occurred on some systems, fixes some bugs notably the out of sync issues and as well an Improved AI and some balancing changes. In case you always found the build delays for the yards useless - we have changed their behavior so that now the delays are pushed at the beginning. It's been two weeks since our 3.0 release, a lot time with a lot of feedback in the forums and via email. Thanks for all your bug reports and ideas! 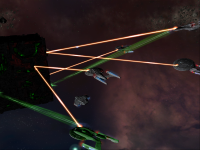 The first patch clears up several crashing problems that occurred on some systems, fixes some bugs notably the out of sync issues and as well an Improved AI and some balancing changes. In case you always found the build delays for the yards useless - we have changed their behaviour so that now the delays are pushed at the beginning of your build queue.